Zoltán is graduate from the Faculty of Agricultural, Water and Enviromental Management at the the Tessedik Sámuel College in Szarvas. His thesis was on the Rehabilitation possibilities of the backwaters of the Great Hungarian Plain. He speaks and writes in English and he understands a little German as well. Zoltán started birdwatching when he was thirteen. He was the leader of the Barn Owl conservation programme in South-East Hungary. In 2006, he spent three months in the Netherlands studying birds and their diverse habitats. In 2007, he was in the United Kingdom, improving his English. He began serious photography ten years ago and his work has been displayed at exhibitions. His favourite subjects are birds, plants and macro. As a keen birdwatcher and photographer, he has visited several different European countries (e.g. Ireland, Spain), as well as Canada, Thailand and Egypt. 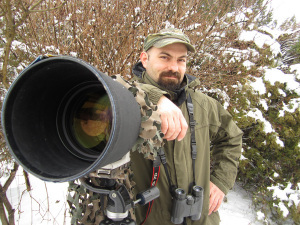 My name is Zoltán Pabar, I am a freelance wildlife photographer and tour guide. I have been organising and leading wildlife watching tours for over 15 years. In 2007 I started to organise private tours under the name Hungarobirds. My tours are based in a small Hungarian town, Kisújszállás, where I live with my family – my wife Kriszta and our sons the little Tomi and Dani – and I also have a nice guesthouse here. We are pleased to have Zoltan on board, contact Peter for more information about our Hungarian and Romanian tours with Zoltan. Philip and Janet together founded el-imâge, a large photographic website and image library that showcases the huge diversity of award-winning work from themselves.Philip did his first and doctorate degrees in Astrophysics and worked at many of the leading observatories around the world including Hawaii and South Africa which laid the foundations for his passion for travel, deserts, mountains and photography. Professionally, Philip lectured in Computer Science at Loughborough University for over 25 years and was the first lecturer to be promoted on the basis of excellence in teaching. Away from work, Philip has been a respected judge and lecturer on the UK circuit for the Photographic Alliance of GB for over 20 years and gained his Fellowship of the RPS in Travel Photography. Photographically, anything and everything is of interest and over the past 30 years or so Philip has had a go at photographing just about every conceivable theme and style, although his enduring favourites have to be wildlife, landscape, people and the occasional foray into the world of the totally created image, each of which he has received numerous awards for. Philip is well known on the Photographic Club circuit as a lecturer who has both exceptional photographic skills and enthusiasm combined with an overwhelming knowledge of computing and digital technology. 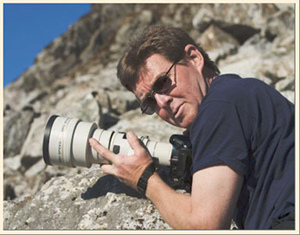 His website, www.el-imâge.com, which is joint with his wife, has been a comprehensive resource for photographers benefiting from Philip’s lectures for over a decade and stands testament to his photographic, computing and educational skills. Along with Peter we run photographic and digital workshops weekends see the Wild to the Wall. Abhij it started his career in the travel industry at a very young age and has over 20 years of valuable experience, while working with some the premier travel companies. A nature lover and wildlife enthusiast by heart, he has travelled along the length and breadth of India and has had the opportunity to lead tours of some of the renowned organisations like the Smithsonian Institute and American Museum of Natural History but he still feels there is so much more to explore and see. Travel is the adrenaline which makes him tick round the clock and he is never too tired to help prepare a special holiday for his discerning travellers. In his spare time, he loves to travel to new places, listen to old Hindi songs and play football with his son. 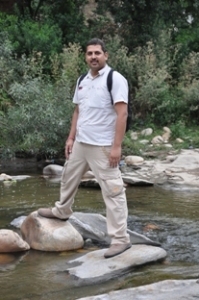 He lives in Delhi and looks after Wildwatch Tour’s clients in India.